This product is great for competitive events. You will never have to deal with pinning or taping numbers on again. This easy-to-use velcro number system gives you a clean-professional look every time. 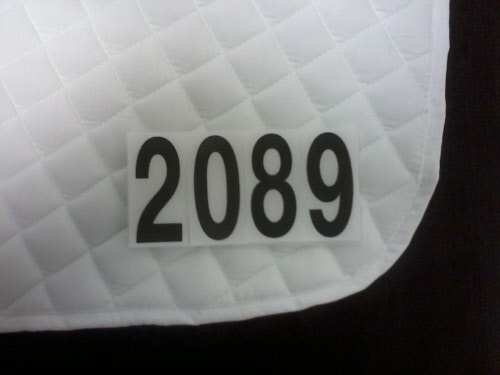 Includes one white Tackeria All Purpose Saddle Pad with two packages of Bondbers sewn on both sides on.